What Was the World Like the Year Tetris was Born? Find out a little bit more about the world during 1984, the year Alexey Pajitnov created Tetris. 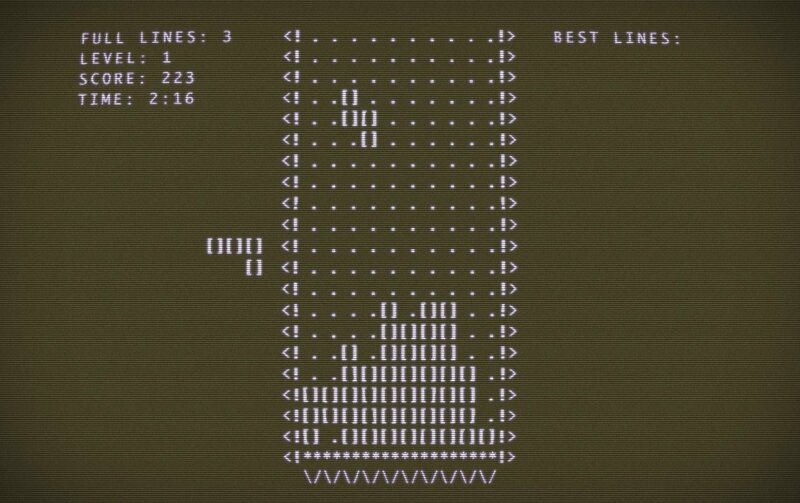 The very first version of Tetris was released into the world on June 6, 1984. 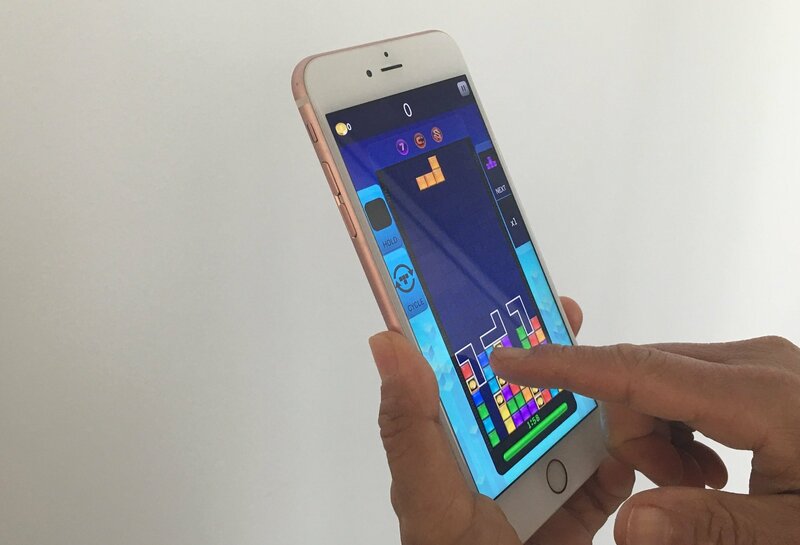 Having been around for 33 years now, Tetris has had the ability to reach widespread audiences all across the globe. While many Tetris fans out there will be able to recall the 80s with perfect clarity, others may only know the game from recent iterations. There’s something for everyone no matter which Tetris game you decide to play. However, it’s nice to take a look back at the world when Tetris was still in its infancy to see just how far the game has come over the years. In 1984, computers were a far cry from the technology we have access to today. In fact, the first commercial for Apple’s famous Macintosh computer debuted during the Super Bowl in 1984 and was directed by none other than Ridley Scott. 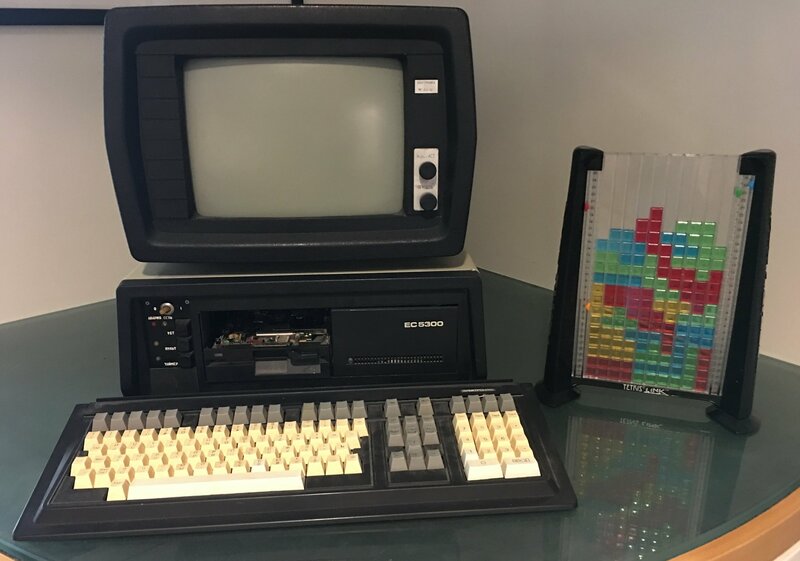 When it comes to Tetris on the computer, the game was first written for the Electronika 60 which had no graphics capabilities. This meant that Alexey Pajitnov had to create the Tetriminos using square brackets. The game was later ported over to the IBM PC, which fortunately had graphics capabilities and added color to the game. Computers ran very differently back in 1984. Microsoft Windows wouldn’t be introduced until 1985, meaning all PCs in 1984 ran using DOS. With DOS, you had to type set commands in order to do things with your PC, including typing “DIR” to find files. Instead of having USB drives to store data, PC users in 1984 were limited to floppy disks. To store data from your PC in 1984, you had to use floppy disks. Even more jarring is that the internet as we know it was nonexistent in 1984. Instead, you had to rely on the small selection of available service providers. One of the earlier ISPs on the market was dubbed “Prodigy”. To access an online service like Prodigy, you had to connect via modem which utilized your telephone line. This meant that you couldn’t take calls and surf 1984’s version of the “web” at the same time. Crazy, right? Additionally, the 80s saw the creation of the first CD-ROM. While music CDs themselves were released back in 1982, data-based CDs took a little longer to come into their own. What’s surprising is that the first iterations of CD-ROMs could hold up to 650MB of data. This may not seem like a lot by today’s standards, but it was definitely an impressive feat 30 years ago. While CD-ROMs later opened up the doors to gaming on the PC, most gaming was done in arcades back in 1984. It wouldn’t be until 1989 that one of the most popular, portable iterations of Tetris would be released on the Nintendo Game Boy. To put things in perspective, 5 years earlier in 1984 Nintendo was busy releasing Excitebike for the NES and other arcade platforms. Aside from gaming platforms like the NES being completely foreign to the high tech consoles of today, mobile gaming was nonexistent. In fact, the smartphones we use to play Tetris Blitz weren’t a thing back in 1984. Instead, in March of 1984, one of the first “modern” cell phones (the Motorola DynaTAC 8000X) was purchased for a whopping $3,995. You couldn't play games like Tetris Blitz on your phone back in 1984. Think about that price tag for a moment. Nowadays, we may find Apple’s latest iPhone to be pricey, but paying almost $4,000 for a cell phone back in 1984 is almost unfathomable! On the big screen, huge blockbuster hits like Ghostbusters and The Terminator were being released to audiences for the very first time in 1984. Meanwhile on the music scene, Prince’s “When Doves Cry” and Madonna’s “Like a Virgin” dominated the airwaves. It’s crazy to think that Tetris was first born in a year where cell phones were giant bricks, where Nintendo had yet to release the Game Boy, and where cult classics like Ghostbusters were just being released. Looking back, we can’t help but appreciate how much Tetris has grown over the last 33 years. After all, we couldn’t imagine being unable to play Tetris on-the-go. If this journey back in time has you itching to play some modern Tetris, you can play for free right here at Tetris.com!